Recently the Boy Scouts of America made headlines by indicating their willingness to drop a restriction against openly gay scout leaders and members. The move comes amid the recent withdrawal of financial support from UPS, Intel, and Merck after the three corporations cut all ties with the organization over the issue. Hundreds of Eagle Scouts have returned their badges over the B.S.A’s 2011 decision to reaffirm the ban on homosexual membership. Although local chapters would still be able to determine their own requirements, the decision has highlighted strong opinions on both sides. Despite the backlash, both state and federal courts have upheld the group’s selective membership requirements (most recently in Boy Scouts of America v. Dale) and legally the group is under no obligation to amend its policy. Even today, those who claim to be atheist or agnostic are prevented from obtaining membership under the “Duty to God” clause which is also protected under the same statute. As a highly decorated Cub Scout (I left shortly after earning my Arrow of Light) I am truly outraged at this turn of events. You mean to tell me that all those Saturdays I spent trying to sell overpriced Trail’s End popcorn to complete strangers; the Scouting brass was getting checks from Merck? Here I felt like the financial solvency of the entire operation resting on my tiny little shoulders and the entire time we have profit sharing rights on Fosamax. At least the Girl Scouts had a proprietary product that couldn’t be purchased cheaper inside the very store that they were soliciting in front of. You need a dealer to get a box of Samoas or Thin Mints, but is there anything more ubiquitous than microwave popcorn? I am having difficulty thinking of a retailer that doesn’t carry it. I suppose the SBC has a point about having male Girl Scout leaders, but the Cub Scouts do allow females to have authority over boys in the form of Den Mothers. Sadly, in today’s society it is probably dangerous to leave your child alone with any adult other than yourself. As far as Pat Robertson’s claim goes, there doesn’t appear to be any reliable evidence to suggest that men who identify themselves as homosexual are statistically more likely to molest children that men who identify themselves as heterosexual. After all, how many Catholic priests convicted of molestation would have checked the “gay” box on their application form? Simply put, sexual attraction to children is mutually exclusive from a person’s orientation. How do they screen for dangerous applicants currently? If some smarmy guy with a dirty stache and no kids shows up at the BSA office and says, “I would really like to find myself in a tent with prepubescent boys.” - is there a protocol for that? Personally, whether or not he claims to find women attractive would make little difference to me as a parent. I still wouldn’t want him pinning merit badges on my kid. Essentially, the Boy Scouts of America has been operating under a “Don’t Ask Don’t Tell” policy for a long time and they have the right to continue to do so with legal impunity. However, business sponsors also have the right to withdraw their support from a private organization that they no longer feel aligns with their corporate ethos. 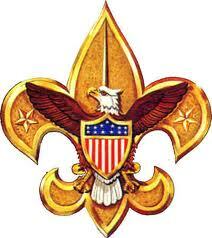 The fact is that membership in the Scouts has fallen 22% since 1999 and some of the most vocal supporters of the ban on gay membership are the least supportive of the group financially or logistically (for instance, Baptists have less BSA charters than Mormons, Catholics, Methodists, Presbyterians, or Lutherans). It appears they will either need to locate new sponsors who share their views or reverse their stance in order to keep the ones they have. Personally, I enjoyed my tenure in the Scouts and appreciate all those who volunteered their time to make my experience beneficial and worthwhile. The sad reality is that parents should be wary of anyone they entrust with their child, regardless of what gender they are attracted to. Perhaps one day my son will want to stand in front of a Kroger and convince total strangers that it is reasonable to pay $15 for a bag of microwavable popcorn, but at the rate the BSA is alienating benefactors his uniform may sport corporate logos instead of merit badges.